At Fresh Skin Canvas, we utilise the most advanced laser available to eliminate tattoos precisely without harming the surrounding skin. Our clinicians perform this procedure with the utmost care, providing you with great confidence and comfort. This treatment is performed on all skin types. 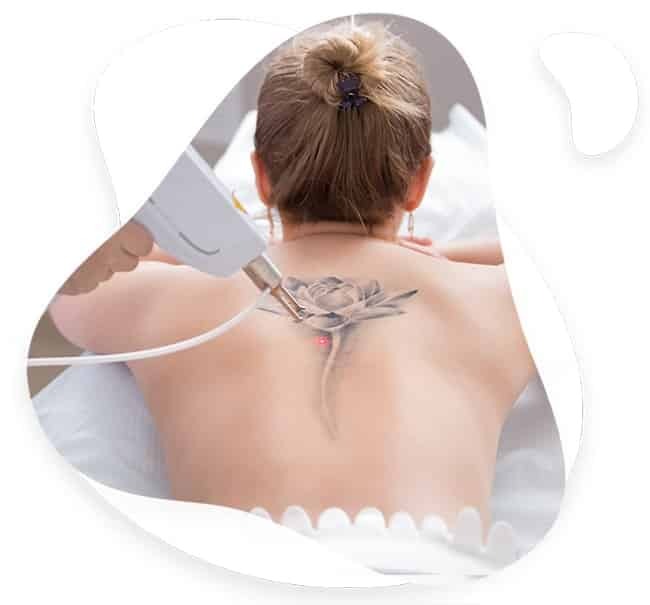 The QX Max Melbourne laser tattoos removes with specialised light which is absorbed by the tattoo ink. 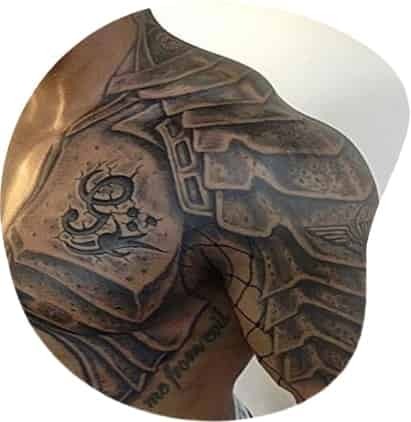 This rapid absorption of the laser energy causes the tattoo ink to break into tiny particles, which is then removed by the body’s natural filtering system. It can remove both professional, amateur (homemade), traumatic and surgical tattoos. 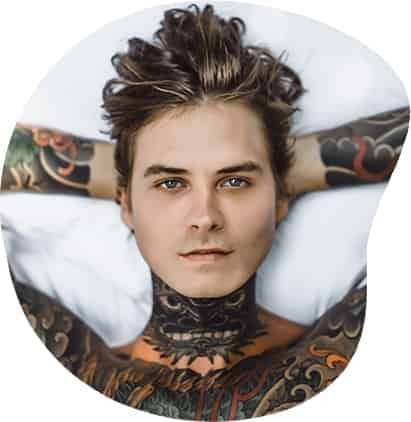 The number of tattoo removal in Melbourne treatments depends on the volume, type, colour, and the depth of the ink within the dermal layers of the skin. 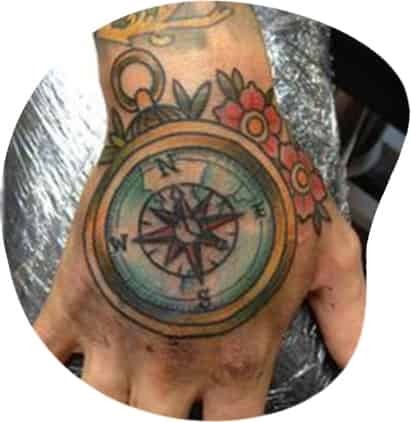 Our Melbourne Tattoo removal clinicians will assess your individual needs and create a customised plan for you. THINKING ABOUT HAVING YOUR TATTOO REMOVED? At Fresh Skin Canvas our world class leading Medical Grade Fotona QX MAX laser system offers four wavelengths in one. Each different wavelength is preferentially attracted to different tattoo colours. 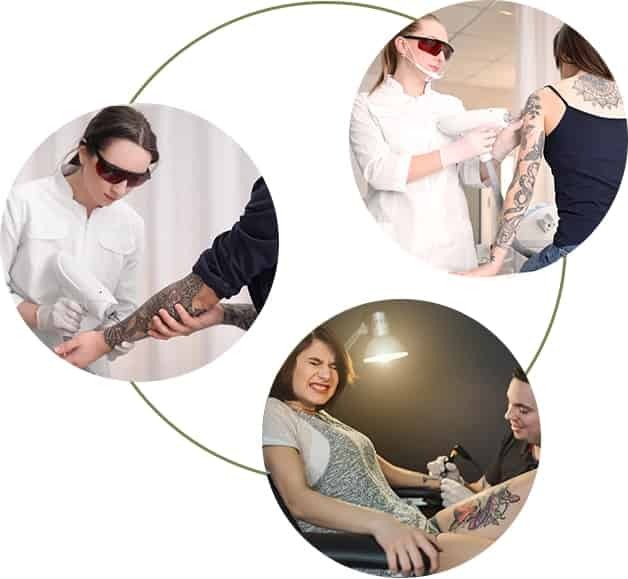 With four wavelengths to choose from, this maximises the chance of removal for all tattoo colours on all skin types, previously considered impossible. The 532nm wavelength is attracted to red, tan, purple and orange, whilst the 1064nm is attracted to black, brown, dark blue, grey and yellow. The 585nm is attracted to sky blue and our 650nm attracted to green. 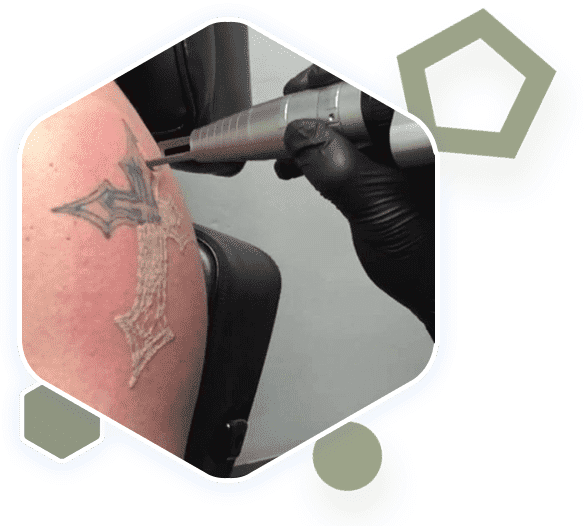 The QX MAX transmits extremely short energy pulses that cause tattoo pigments to break into smaller particles that are then removed by the body’s own immune system and defence mechanisms. Our Fotona QX MAX Q-Switched laser tattoo removal technology generates single nanosecond pulses, which are more efficient at removing pigment than other systems that use multiple-pulse technologies. Single pulses are not affected by the optical shielding phenomenon arising from pigment destruction.Consequently more and deeper lying structures can be reached and removed, and laser treatment efficacy and efficiency in a single session are significantly greater. This means we can treat you with much more power giving you a better quicker and safer result. With Q-switched laser there is minimal heat energy transferred to the skin reducing the risk of damage to surrounding skin tissues, commonly known as Thermal Relaxation Time (TRT). 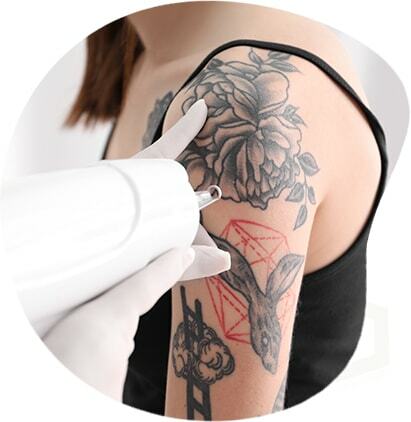 Although Q-switched laser treatments require several sessions to successfully remove or fade a tattoo, they have the greatest chance of returning your skin to its previous state in comparison to the other methods of laser tattoo removal Melbourne. Q-switched lasers allow for complete removal of the tattoo, or just to fade it so the area can be tattooed over for those wanting to change or update their tattoos. 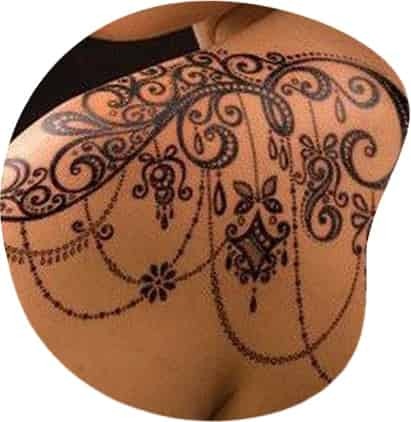 The tattoo may appear slightly raised and frosted (white) in appearance immediately after the laser treatment, this is the skin’s protective mechanism. 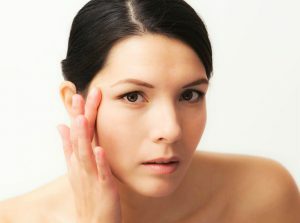 The laser treatment creates enough of a response in the ink particles that the skin tries to shield itself from further destruction. It usually takes 1 to 3 weeks to completely heal and the treated skin may appear like a wound/scab during this time. It is important not to pick at any scabs formed by the treatment and to keep the treated area out of direct sunlight, applying sunscreen where exposure cannot be avoided. We advise that you keep the area protected and apply Bepanthen ointment regularly to keep it moist until the scabs fall off. Some patients may experience itching in the treatment area in the weeks after laser tattoo removal Melbourne, a mild hydrocortisone cream from your chemist can be applied to assist with this. Generally multiple treatments are required for tattoo removal in Melbourne, although there are several elements that will determine how many treatments you require. 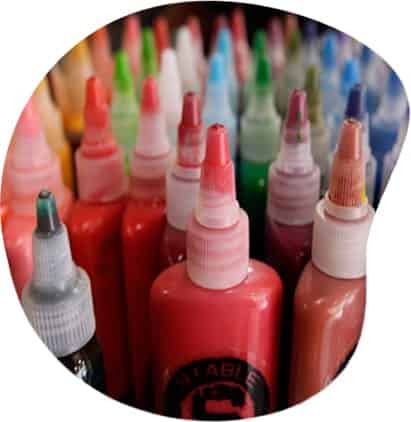 Multi-coloured and professional tattoos tend to be harder to remove than single coloured or amateur tattoos and therefore require more treatments. For complete removal, professional tattoos usually require approximately 6-10 sessions depending on the colours and your desired result. To fade a tattoo (eg. for tattooing over with a new design), only a couple of sessions may be required. Treatments are generally performed at approximately 6 to 8 weeks apart. Enabling the body time to absorb and remove the tattoo pigment particles through the bodies natural defense mechanisms and lymphatic system between treatments. Fresh Skin Canvas use a World Class Laser System to treat this as safely as possible, reducing the number of treatments to obtain your desired result. Tattooing methods have changed over time, with newer techniques often distributing more ink deeper in the skin. 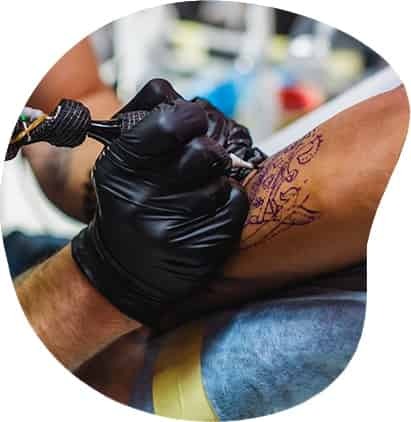 Tattooing the skin can often lead to complications such as scarring and other changes in the tissue that make the tattoo more difficult to remove by laser. Where these complications exist, more sessions may be required to remove the tattoos. Other treatments may be used in conjunction with tattoo removal to assist in breaking down the existing scar tissue enabling the achievement of your desired result. Tattoo ink is broken down by laser and taken away by the body’s lymphatic and immune systems. Blood supply and lymphatic drainage vary with various body areas, with the greatest supply being the head/neck and upper body, and the least to the extremities. Therefore tattoos that are situated in areas of high blood supply and lymphatic drainage usually require fewer treatments to remove. Tattoos that have been tattooed over tend to be more difficult to remove due to the increased amount of ink and number of colours. Black and darker colours tend to be the most readily removed, with yellow, green, and multi-coloured tattoos possibly requiring more treatments to achieve your desired results. 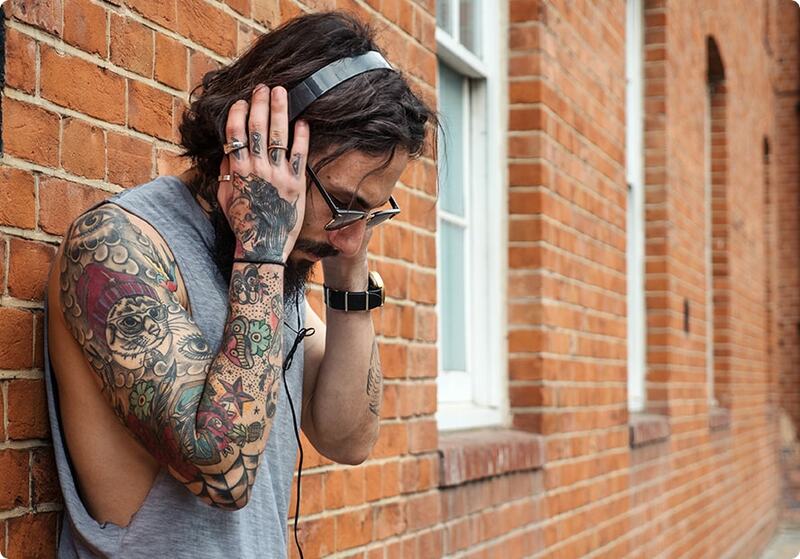 From full back pieces, to neck, leg and arm sleeves or even the finest of line modifications. Fresh Skin Canvas are passionate about helping you remove or fade those unwanted areas of body art you no longer identify with. Tattoos with minimal ink or outlines only tend to be easier to remove and require fewer sessions than heavily inked and solid areas such as tribal tattoos.